As the confetti fell down on the New England Patriots, the realization that game days in the National Football League are now months away from taking place sunk in. Hey, remember that loved one that let you watch those games in peace? “Hello, significant other, how have you been these past few months?” There’s a whole world out there for you to consume now that the football season has officially come to a conclusion. Indeed, the past couple of months resulted in Bill Belichick and Tom Brady winning their sixth championship in the defensive struggle that was Super Bowl LIII. While New England can celebrate their championship for the months to come, the offseason represents a different kind of reflection for the other 31 teams. Keying in on the trends from the 2018-19 season should provide a window into what’s to come next season in the NFL. This past season was one where offenses thrived! Shotgun and spread formation reigned supreme, leaving defenses across the league continuing to play catch-up to solve them. As we move into the off-season, with most of the focus turning to the 2019 NFL Draft, now is the ideal time to examine some of the trends and failings from across the NFL. In a day and age where wide receivers such as Julio Jones, AJ Green and Odell Beckham Jr. are touted as the games best receivers, the absence of an elite pass-catcher from the postseason stands out. Granted, each one of the players mentioned suffered from sporadic play at quarterback, which hindered their chances of piecing together a playoff season. In the case of AJ Green, his season came to an end due to injury. You can make the argument that Chiefs’ WR Tyreek Hill and Saints’ WR Michael Thomas both qualify as top tier receivers, despite not being in the same financial area code as their peers. That would be a reasonable point. However, aside from Super LIII MVP Julian Edelman, there was a lack of star power at the position in the biggest game of the season. This postseason could just be happenstance, with a return of the big stars to meaningful games for the 2019-20 playoff. Whether a team can win with a big money receiver remains to be seen, especially since teams like the Eagles and Pats have won a championship without either. Instead, what we got was a defensive showdown. 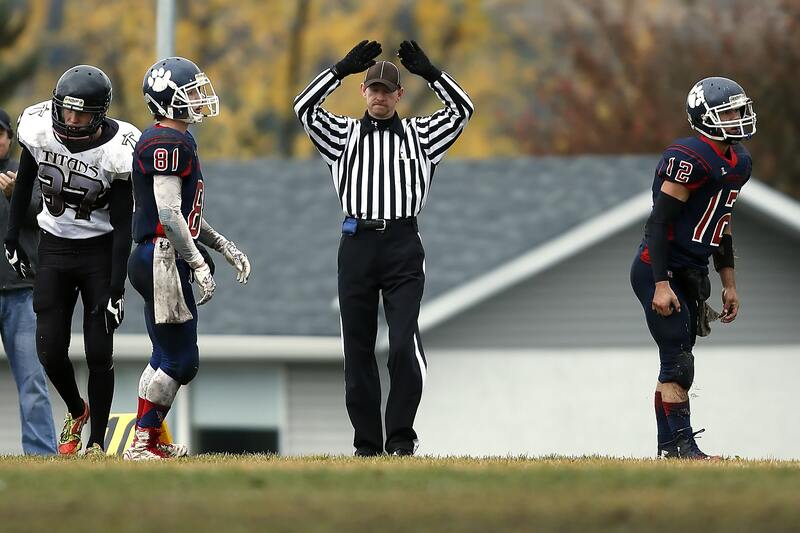 Both teams using scheme, bluffs and positioning to their advantage to walk away with a victory. The Patriots giving up just a single field goal and 14 first downs. Meanwhile, LA’s defense held New England to just 13 points, giving up a single touchdown to a team that averaged 27.3 points in the regular season. Patriots’ WR Julian Edelman had his way with the Rams’ secondary, running scott-free regardless of the coverage. 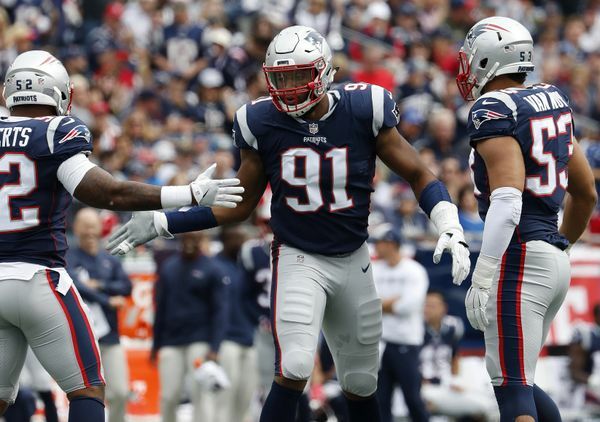 The offensive renaissance that the league enjoyed was great from a ratings and interest standpoint, yet when the championship was on the line, it was a monumental defensive performance that ultimately propelled New England to victory. What was unique about the win for the Patriots was their throwback to the days of football past by bringing a fullback onto the field and moving him all across the formation. The fullback position appeared to be on the verge of extinction across the league. Leave it up to the Patriots to resuscitate the position by using James Devlin as the knight on their chessboard. Even though the Patriots trotted out one of football’s best at the quarterback position, it was New England’s running game that punched the ball into the endzone for the game’s only score. After passing for over 500 yards in his previous Super Bowl and coming up short, the onus wasn’t solely placed on the right arm of the future hall of famer. No. This time around, Brady was able to get away with passing for 262 yards and 0 TDs to win his sixth championship ring. This offseason, the rest of the league will need to undergo self-reflection to figure out if they have it all wrong and what the Patriots got right this season. Say what you want about the personality of special teamers, they’ve gotten more notoriety this postseason than ever before. In a postseason where the Chicago Bears were defeated in the wildcard round because of shanked chip shot of the upright, the Super Bowl saw Patriots’ K Stephen Gostkowski miss his first attempt of the game. 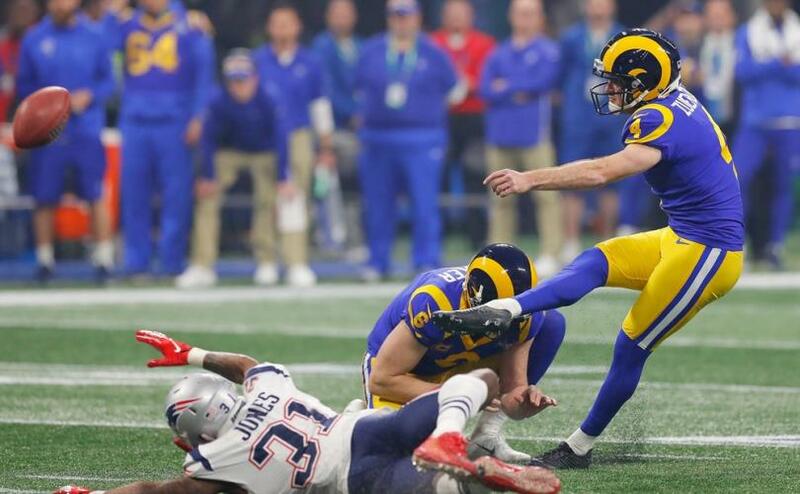 Rams’ P Johnny Hekker jokingly was getting buzz as the game’s MVP, after booting nine punts throughout the night and downing five within the 20 yard line. Scoring points still remains the name of the game. Punters are afterthoughts for any given game, that’s until they’re backing up their opponent in the biggest game of the year. Kickers and punters usually get dismissed as the quirky guys who workout by themselves and have to pay too much attention to the weather report on game days. Today, there should be a bit more appreciation for the players who have a sizeable influence on the game.